How Should I Use There, Their, and They’re? 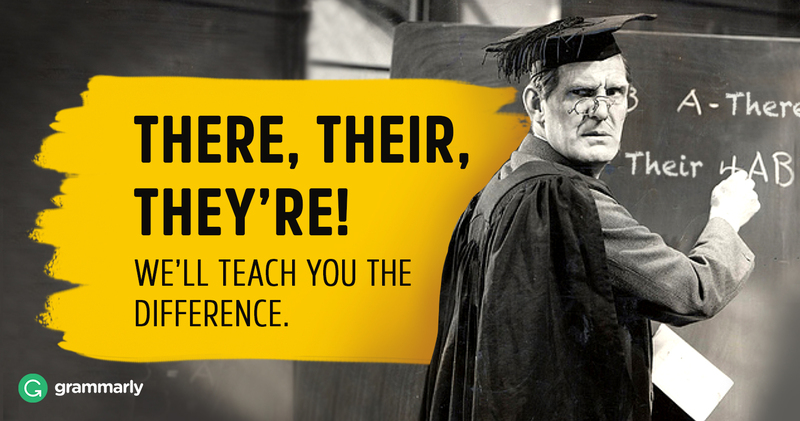 There, their, and they’re are the big trio of commonly confused words. All three of them are pronounced the same, and the spelling differences don’t seem to do a good job of stopping people from mixing them up. He asked me to go there and check on his fish while he’s away. There is something strange going on with Sydney today. All of those kids with their contagious laughter really made my day. They didn’t want to see all of their hard work go to waste. They’re going to a party tomorrow. You should meet my work friends; they’re a real hoot. There is, however, one way to save this policy. There are lots of ads that encourage you to buy things at stores or eat at restaurants, but how many actually encourage you to physically go there at that exact moment? This act of sportsmanship and brotherhood had a profound effect on a nation that already adored them for their talent and toughness. This time, it’s about an alleged issue with subscribers—suddenly, they’re disappearing.